As a responsible pet owner, you can take a few simple steps that will go a long way toward keeping your pet healthy and happy. The American Animal Hospital Association suggests these practical tips that can ensure your pet’s health and happiness. Unfortunately, making your home pet safe often is a job that is overlooked. Pet proofing your home can lower the risk of a serious pet accident occurring. A pet owner needs to be aware of several potential dangers. Poisons in the home that can kill or seriously injure your pet include some kinds of house plants (dieffenbachia, philodendron, hyacinth, and mistletoe), pesticides, and medications. Low electrical cords are extremely hazardous when chewed. Keep harmful objects out of your pet’s reach. A little prevention may be just enough to avoid a pet tragedy from happening in your home. “A regular physical is the most overlooked pet health need today,” says Dr. Bill Swartz, an AAHA veterinarian. 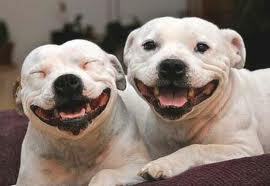 “Most people only take their pet to a veterinarian when a health problem already exists or for routine vaccinations. Preventive vaccinations and early detection of diseases are the keys to successfully treating your pet,” he added. Your veterinarian can conduct a comprehensive exam that includes a lab analysis, heart check, and dental exam. Mmm… all that chocolate! None for your pets, please! Chocolate contains a toxic substance, theobromine, which is harmful to pets. So, just say NO! Is it an emergency? A pet exposed to bitter cold that becomes lethargic, depressed, and weak, could be hypothermic. Call your veterinarian immediately. Did you know that by shivering, a pet that is cold or recovering from anesthesia is trying to warm its body back to normal temperature? The sweet, lovely green pool of antifreeze on the driveway is an often deadly drink for dogs and cats. Even a small lick by a small pet is enough to poison it. Clean up those spills fast! Did you know that some caged birds are afraid of the dark? Try a night light or leaving the front of the cage uncovered. Before traveling with your pets, make sure they have all required vaccinations and health papers. If they are on medications, have enough to last through the trip. When traveling by air, be aware of airline restrictions regarding outside temperature and number of animals allowed per flight. Someone may have already booked a pet and there are no more allowed. Check with the airline reservationist or travel agent. Remember that even the most gentle and trusting pet may bite when in pain. If you must muzzle, use a soft towel or cloth strips and remove it as soon as possible so the pet can breathe more easily. If you must transport an injured or ill animal, a blanket, vinyl mat, and even a door make excellent stretchers. The trick is to immobilize the animal to avoid further stress. Moving from a cold climate to a warmer one? Don’t forget to have your dog tested for heartworm disease BEFORE beginning preventive medicine. Ask your veterinarian for more information about heartworm disease. The American Animal Hospital Association asks you to provide a safe environment, quality diet, exercise, and adequate veterinary care for your pet. 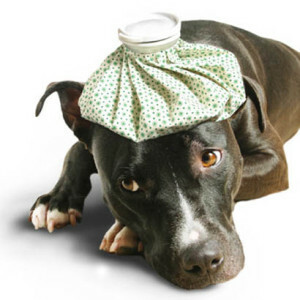 Consult your veterinarian if you have any questions regarding your pet’s health care. Share the post "Keep Your Pet Healthy And Happy"